The supposed rationality of the urban planning of the Modern Movement encompassed a variety of attitudes towards history, technology and culture, from the vision of Berlin as an American metropolis, through the dispute between the urbanists and disurbanists in the Soviet Union to the technocratic and austere vision of Le Corbusier. After the Second World War, architects attempted to reconcile these utopian visions to the practical problems of constructing - or reconstructing - urban environments, from Piero Bottoni at the Quartiere Trienale 8 in Milan in 1951 to Lucio Costa at Bras'lia in 1957. In the 1970s, the collapse of Modernism brought about universial condemnation of Modern urbanism; urban planning,and rationality itself, were thrown into doubt. However, such a wholesale condemnation hides the complex realities underlying these Modern cities. 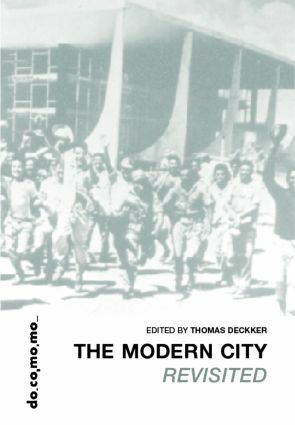 The contributors define some of the theoretical foundations of Modern urban planning, and reassess the successes and the failures of the built results. The book ends with contrasting views of the inheritance of Modern urbanism in the United States and the Netherlands.